Most automakers practice a sourcing technique in which their car’s parts are purchased from various countries around the world. For example, if you ever took a look at a Toyota’s window sticker, you will notice that only 50-60% of the car was actually assembled in the United States (US), while the rest of the car comes pre-assembled or fabricated from other parts of the world. As this industry wide practice continue to dominate the automotive industry purchasing habits, one automaker, in particular, has decided to take an alternative route by souring its car parts exclusively from Mexico. The automotive industry stands out when compared to other sectors since it is the only industry that makes a product of high complexity in very high volume. On average, the typical automobile is comprised of over 20,000 parts with roughly 1,000 key components which equates to thousands of Tier 2 manufacturing facilities, hundreds of Tier 1 facilities, and dozens of assembly operations. Add to that, an increase in Global Motor Vehicle production since 2007’s recession of 26%, or 40 million annually, and it’s a no brainer why automakers are scrambling to build more production facilities and contract additional suppliers. Many of the auto makers have decided that the southern or mid-western regions of the United Sates will serve as the home for their new plants and, as usual, the production equipment and parts will be acquired from as many as 5 countries. However, one automaker in particular has decided to take an alternative approach by attempting to purchase majority of its auto parts directly from Mexico. Audi is a subsidiary auto brand derived from the Volkswagen Group headquartered in Germany. 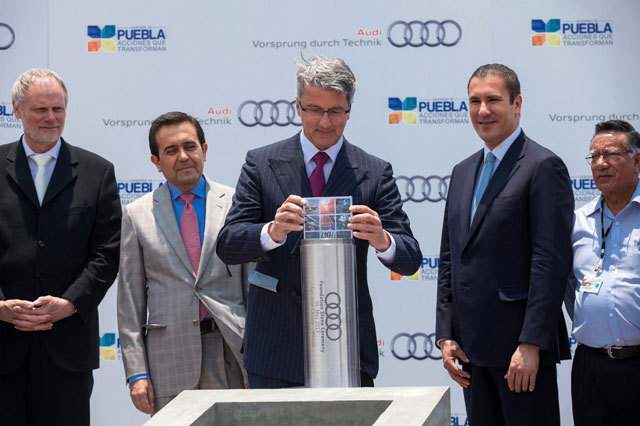 Recently, Audi became the first German automaker to open a full production plant in Mexico and vowed that over 90% of its production and operational components will be sourced from local sources. To achieve this, Audi invited 120 suppliers to an onsite workshop which demonstrated Audi’s plan and goals for its initiative. In addition, Audi also assessed each supplier’s ability and qualification to provide the new parts and other value-add services. Audi will start engaging in contracts with the various companies within the next couple of months with hopes that it will reach its goal(s) by 2016. If successful, the new technique could change the industry old standard of automotive sourcing and a new practice could emerge. And with respect to the US, it could lead to thousands of new jobs over the next decade, especially since majority of the automakers has decided the US will serve as home to their new production facilities.